How do I login to my Google Apps account? 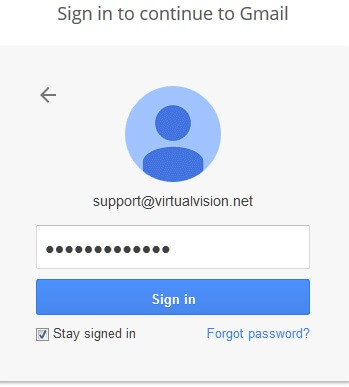 Step 2) If you are not taken directly to the login page, click on 'Sign in' in the upper-right of the screen. 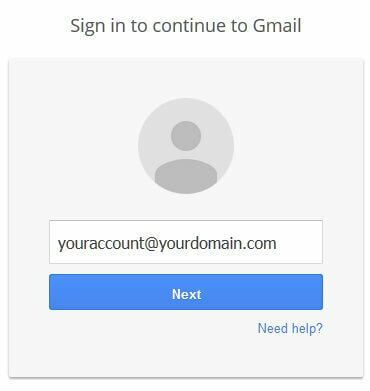 Step 3) Enter your full Google Apps email address and click 'Next'. 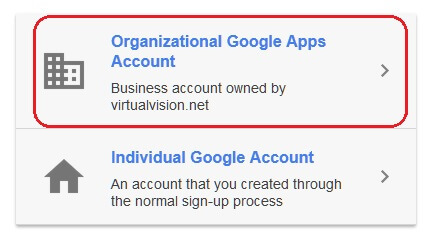 Step 4) If prompted to choose 'Organizational Google Apps Account' or 'Individual Google Account', choose 'Organizational Google Apps Account'. Step 5) Enter your password and then click on 'Sign in'. You should now be logged into your Google Apps account! If you receive a message saying 'The email and password you entered don't match', please retry again ensuring both your email address and password are correct (Note: passwords are case-sensitive).